Despite a report indicating corruption, FIFA’s president says it would take "an earthquake" for Qatar not to host the 2022 World Cup. Despite a report indicating corruption, FIFA’s president ruled out on Friday the possibility that the soccer body would go back on Qatar’s hosting of the 2022 World Cup. "It would really need an earthquake, extremely important new elements to go back on this World Cup in Qatar," FIFA president Sepp Blatter said, according to the AFP news agency. The president of soccer’s ruling body was seeking to silence a growing number of critics after the FIFA executive unanimously voted to release an edited version of a report on corruption drawn up by an American lawyer, Michael Garcia. The report found alleged corruption surrounding both the 2022 World Cup, as well as the 2018 World Cup, scheduled to be hosted by Russia. Garcia resigned on Wednesday as FIFA's top corruption investigator in protest at the body's handling of his report, noted AFP. 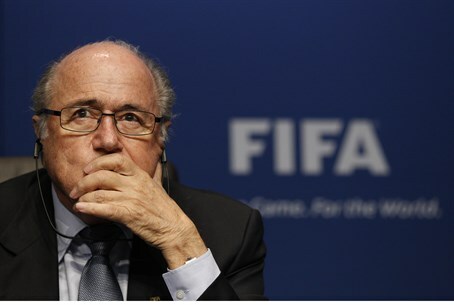 A FIFA summary released last month said no corruption had been found. Garcia has strongly attacked the summary prepared by FIFA's most senior judge and said he had found "serious and wide-ranging issues" in the bidding for the two World Cups. Blatter acknowledged the critics when he said Garcia's report will be released once proceedings against individuals named in the document are completed. The published report will probably have the names of witnesses who gave evidence to Garcia taken out. Blatter said the FIFA executive agreed unanimously at a meeting in Marrakech, Morocco, "to publish the report in an appropriate form once the ongoing procedures against individuals are concluded. I am pleased they have agreed." "It has been a long process to arrive at this point and I understand the views of those who have been critical," Blatter said. "The publication of this report has become a barrier to rebuilding public confidence and trust in FIFA," he added. He then added that information on the cases and Garcia's report had been sent to the Swiss prosecutor's office but there was no question of changing the hosts of the next two World Cups. "We will not revisit the 2018 and 2022 vote," he insisted, adding that a report by independent, external legal experts "supports the view that there are no legal grounds to revoke the executive committee's decision on the award of the 2018 and 2022 World Cups". FIFA voted to award the 2018 World Cup to Russia and the 2022 event to Qatar at a meeting in December 2010 that sparked protests as soon as it was finished. British media reports have said a Qatari football official handed over millions of dollars to federation chiefs in Africa and Asia to get support. The Gulf state has strongly denied any wrongdoing. In addition, Qatar has come under criticism for its support of the Muslim Brotherhood and its offshoot, Hamas. There have been several rallies in recent months calling for FIFA to move the 2022 World Cup elsewhere. Last month, there were conflicting reports regarding FIFA’s position on Qatar’s hosting the 2022 World Cup. While the German newspaper Der Spiegel reported that Blatter told members of the Norwegian FA that "the 2022 World Cup won't take place in Qatar" during a dinner held in October, the international federation later denied the report.